Shaunalee S. Gish is a native of El Dorado, Kansas. Shauna is a licensed Certified Registered Nurse Anesthetist (CRNA) for Associated Anesthesiologists, P.C. 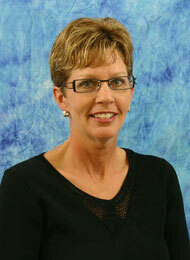 Shauna completed her BSN degree in 1984 at Fort Hays State University. Shauna completed her anesthetist training at the BryanLGH School of Nurse Anesthesia in 1995 and became a licensed CRNA that same year. Shauna has been with Associated Anesthesiologists, P.C. since January, 1998. Shauna is married and has two children. Her personal interests include travel, hiking, and spending time with her family.